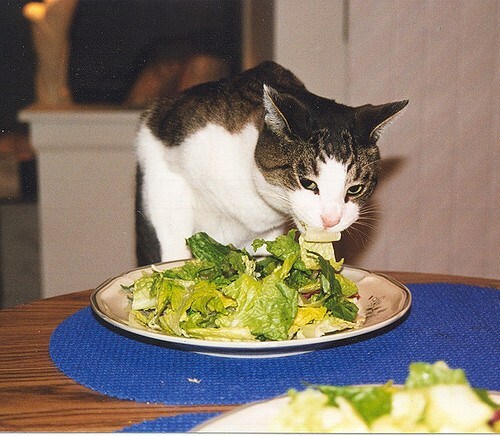 » Safe and nutritional, can cats eat lettuce! Health-conscious people are all aware of the wonders of green leafy vegetables. Moreover, lettuce is undoubtedly one of the most favorites. However, can cats eat lettuce too? You may think that felines and lettuces are an unlikely match because felines are known to be carnivorous animals. Feline species such as cats solely rely on the meat of their prey as their primary food source. However, since domestication, some kitties have been adopted into households and have been mostly confined indoors. Since then, domestic felines have adapted themselves into their new environment where they’re not required to hunt for their prey anymore. Instead, they entirely depend on the food being offered to them by their owners. Considering their dependence on us when it comes to foods, we should be careful with the foods we’re giving them. Many pet owners would think that feeding them with raw meat from the supermarkets is biologically appropriate for them. However, doing this is dangerous for your furry friend. Store-bought raw meats are entirely different from the fresh meat they get from attacking prey in the wild. Cats and even humans can get sick from bacteria and pathogens in raw meat products that can cause serious, life-threatening infections. So, to prevent this issue, most pet owners resort to commercial cat foods that are specially formulated for domestic felines. Other pet owners would serve cooked pork, beef, chicken and turkey for their feline pets. Also, these are appropriate foods for them to eat. Even though they are obligate meat-eaters, they also get sick and tired of their usual diet. Sometimes, our furry companions would want to try something new apart from cooked meat and commercial cat foods. That explains why you often catch them nibbling on some grass and plants in your backyard. They’re probably trying to explore other foods that are unusual to them. So, if you catch them staring at you while you're enjoying your salad, the chances are good that they also want some of it too. Let's admit it; we can't simply say ‘no' to their demands especially if they look at us with pleading eyes. So you're probably thinking about tossing a piece of this veggie for your furball to nibble on. However, can cats eat lettuce? Is lettuce safe for cats? So, Can Cats Eat Lettuce? Is Lettuce Safe For Cats? Is It Not Enough To Feed Your Cat Lettuce Only? Lettuce has been an indispensable addition to our salads and sandwiches. However, it can also be eaten raw or cooked into vegetable soup. Now you’re wondering if your feline buddy can have some of it too. There's nothing like the crunchy texture of lettuce with its hint of grassy flavor. Just the sound of its crispiness could quickly catch the interest of our curious feline pets. However, can cats eat lettuce? If you’ve already tried giving this leafy veggie to your pet before and you’re worrying now if it’s safe four your cat, then there’s no reason to worry. Lettuce is not toxic to cats, and they can eat it without ill effects. However, there are precautions and limitations that we need to consider when feeding this leafy veggie to our kitties. Let us remind you again that felines are carnivores by nature and they are obligate meat-eaters to boot. The term ‘obligate' in this sense means that they are required to consume meat to live. Furthermore, their body is designed to digest and absorb nutrients from beef to keep their bodily systems functioning well. In other words, felines cannot digest and metabolize plant-based foods such as fruits and vegetables. Can cats eat lettuce? Yes, they can. However, they could only handle a small amount of this vegetable because they're not meant to eat it in the first place. Humans are required to eat green, leafy vegetables to obtain essential nutrients. This is because humans are omnivores and they need to consume a well-balanced diet consisting of both animal-based and plant-based foods. Felines, on the other hand, are carnivores and their main food is meat. Carnivores don’t need to consume plant-based foods because they get all the nutrients they need from meat alone. However, this doesn’t mean they can’t eat plant-based foods. They can eat vegetables, fruits, and other plant-based food sources. However, we need to be cautious in feeding them with these foods. Particular plants and fruits are toxic to cats and ingesting them could be lethal to our feline pets. Thankfully, lettuce is not one of these toxic plants. Cats can eat it but only in small amounts and in moderation. There’s a reason why lettuce is ranked third as the most consumed vegetable in the world, just behind potato and onion. This leafy veggie contains a myriad of valuable nutrients that can provide a vast number of health benefits. With its nutritional value, there’s a reason to think that it could also benefit our feline buddies if they eat it. So, can cats eat lettuce to get these nutrients too? Vitamin A is essential for a feline's night vision as well as for healthy skin and coat. Cats need vitamin A to keep their muscles and nerves functioning properly. Felines have a higher requirement for vitamin B6 because this is essential in metabolizing protein into amino acids. Since felines are consuming a protein-rich diet, they would require sufficient vitamin B6 to form body proteins and chemical transmitters in the brain. 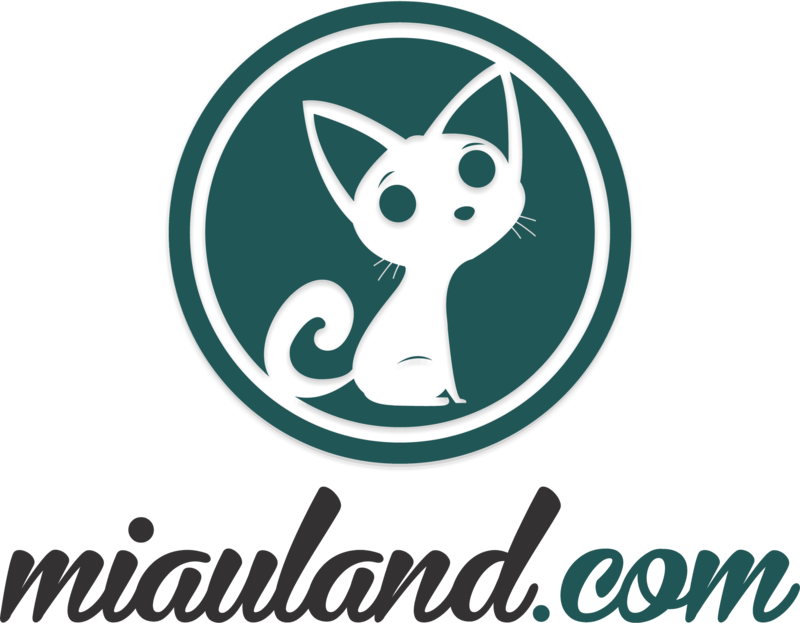 Thiamine is necessary for the metabolism of carbohydrates in cats. Potassium plays a vital role in the conduction of electrical charges in a cat's nerves, muscles, and heart. Folate is beneficial in the production of oxygen, elevation of blood oxygen levels, metabolism of fat, and synthesis of DNA in cats. When a cat is deficient in iron, the level of red cells drops, and this condition can lead to anemia, which can be life-threatening. Manganese is essential for the metabolism of protein and carbohydrates. It also serves a vital function for the production of fatty acids and energy in the body. Calcium is an essential mineral for proper bone and teeth formation as well as maintaining bodily functions such as vision and muscle contraction. Vitamin C is essential in the formation of collagen in cats as it also helps treat feline immunodeficiency virus infection. Thus, it's only reasonable to believe that lettuce can provide all these essential nutrients to our feline friends. However, that's not the case. All the vitamins and minerals stated above are obtained from their carnivore diet. Vitamin A, for example, is attained by eating the liver part of their prey. Moreover, fish oil is also an excellent source of vitamin A. Lettuce is unusually high in vitamin A. If your kitty is regularly eating liver or fish, there is no need to supplement it with foods that are rich in vitamin A. An excessive level of vitamin A can lead to poisoning in cats as the extreme level of this vitamin can be toxic to them. This vegetable is undoubtedly nutritious to humans, but its nutritional value doesn't benefit felines at all. Can cats eat lettuce? Yes, but they won’t be able to benefit from it. Besides, they are not adapted to break down and digest plant-based foods. Feeding them with inappropriate foods may do more harm than good. Does it merely mean that eating lettuce is pointless for our feline pets? If taken in moderation, our furry companions can slightly benefit from this leafy vegetable. This means that a kitty eating small amount lettuce isn't entirely in vain. High-calorie foods are the main reasons for feline obesity. Some pet owners are having a hard time keeping the weight of their pets in check because their pets tend to overeat. Since meat is very high in calories, overeating of it can lead to weight gain and obesity. If your kitty doesn’t seem to satisfy its craving after eating meat, you can give them small pieces of lettuce to fill in their insatiable hunger. This vegetable is very love in calories that it will make your kitty feel full without taking in so many calories. However, only give them lettuce occasionally it must NOT be consistently added to its daily meal. Lettuce contains much water, making it ideal for kitties that mostly eat dry foods. This veggie is by no means a substitute for water. However, it can provide hydration for cats that are not so fond of drinking water. It's common knowledge that dietary fibers are mostly found in plant-based food sources. So how can cats get their fiber requirement if they don't eat plant-based foods? When a cat eats the bones and fur of its prey, these undigested parts serve as the fiber that adds bulk to the gastrointestinal tract. Furthermore, the gastrointestinal tract of their prey contains much fiber. Eating this part allows them to acquire the fiber being held within. Some kitties would leave the bones and the gastrointestinal tract after eating the meaty part. Moreover, this deprives them of the dietary fiber that is essential for their digestion. Small pieces of this veggie can provide sufficient fiber especially if your kitty refuses to eat the bones and the gastrointestinal tract in their food. 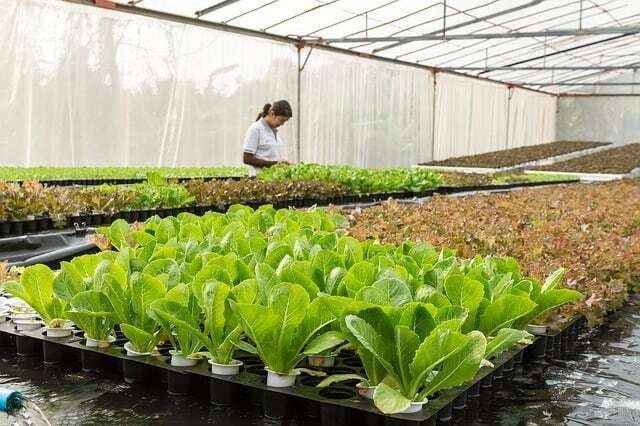 Their leaf type or head formation categorize varieties of lettuce. Each type offers a unique texture and flavor. This variety is commonly used in salads, and it is known for its tight head of crisp leaves. Even though it is not as flavorful as other varieties, iceberg lettuce can last longer than most types. You can store it in the fridge for up to 2 weeks, and it would still stay fresh and crispy. Unlike crisphead, this variety has a soft, loosely formed head and supple leaves. It has a distinctively bitter taste, and its ruffled exterior can bruise easily. Butterhead lettuce makes an ideal addition to cooked ground chicken or shrimp. Also called ‘cos,' this variety has long, tightly folded sturdy leaves and thick ribs. The crunchy leaves have a slightly bitter taste while the center ribs have a sweeter flavor. Romaine is commonly sold in supermarkets. It can be a vital staple in salads and can be grilled until lightly browned. This variety has no head or heart as the leaves branch from a single stalk. 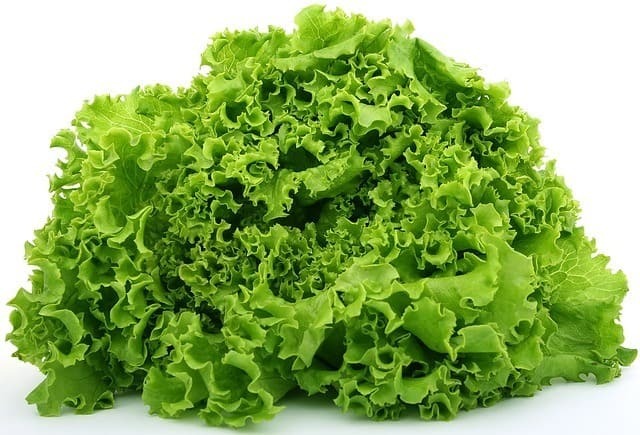 It has a tender texture which makes it more perishable than other types of lettuce. Somewhat between iceberg and looseleaf types, this variety has thick, crisp leaves which can be harvested on a single stalk or later until the head forms. Summer crisp variety has a strong flavor. The heart is particularly juicy, sweet and slightly nutty. So, can cats eat lettuce regardless of its type? Is there a particular variety that is not safe for them to eat? 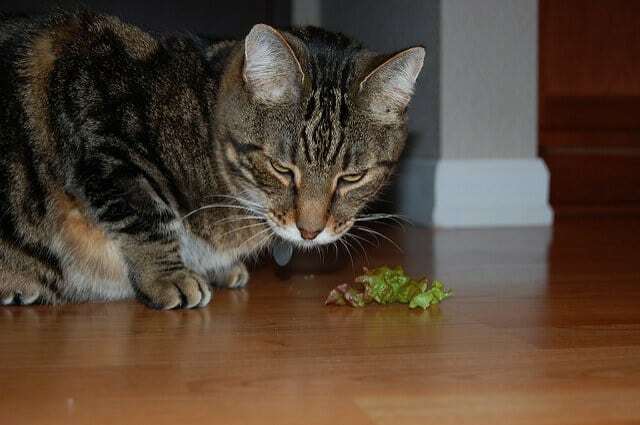 All types of lettuce are generally safe for felines. However, certain varieties have a bitter taste, and some kitties may find this taste unpleasant. Some kitties would prefer the crunchy types while others like chewing on soft, tender leaves. 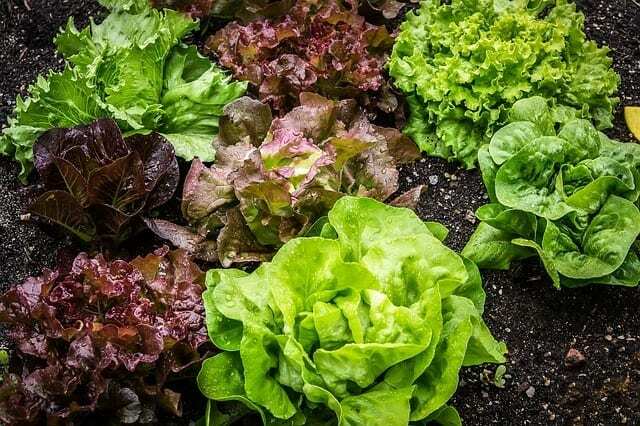 Learning the differences of these different varieties can give you an idea which particular lettuce to offer based on the preference of your feline pet. 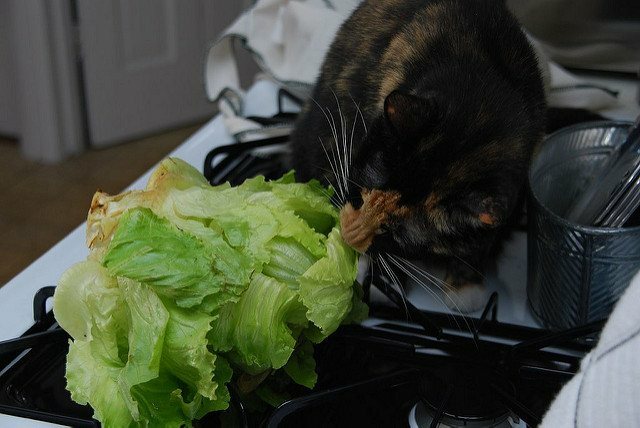 Yes, lettuce is safe for cats to eat. However, it doesn't necessarily mean that they are required to eat it. The only reason why our furry pets are showing interest in vegetables is that they are curious and it's not because they need it. They would surely like to eat what their humans usually eat. Also, if you love eating lettuce, they would want to have some of it for sure. If you don't dare to reject their demands, a small amount of lettuce should be fine as long as it is also given on rare occasions. Can cats eat lettuce as an occasional treat? Yes. However, as a regular food? No. Once in a while, our kitties would like to have some varieties in their routine diet. Despite being carnivores, they would also try to eat some plants for a change. You need to be more heedful if you allow your pet to do so. There are cases wherein cats vomit or suffer upset stomach after eating plants and other foods that are inappropriate for them. This can happen more especially if it’s their first time to eat such foods. Introduce lettuce by only giving them a tiny piece of it during the first time. Carefully observe from then on. If they happen to like the taste, then you may consider it as an occasional treat. Letting them eat lettuce can satisfy their cravings with plants, and it may help them ignore other houseplants. It could be of great help since several houseplants are toxic to them. Do not offer your kitty the whole lettuce as the large leaves and the stalk can become potential choking hazards. Furthermore, if your kitty happens to like the taste of lettuce, it may eat up more than its digestive system could handle. Cut the vegetable into smaller pieces or tear its big leaf to make very thin slices. They would be able to devour it when the lettuce is cut into smaller strips. So don't forget to wash the veggie before giving it to your kitty thoroughly. Dirt and pesticide residue may still linger on it, causing potential poisoning in you and your feline pet. Wash the lettuce under cold running tap water and shake it to dry. 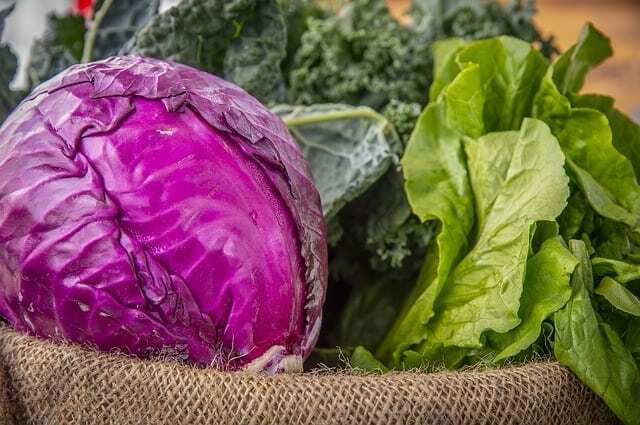 This leafy vegetable tends to lose its crispiness if it stays wet for an extended period. Also, you can use a salad spinner or pat it dry with a paper towel after washing to retain its crunchiness. You can let your feline pet eat the small pieces of lettuce as it is or you can sprinkle them on top of their meal. However, only do this occasionally. Regular consumption of vegetable can lead to digestive problems and other severe health conditions in felines. Can cats eat lettuce? Yes, they can. Is lettuce safe for cats? Yes, this particular veggie is generally safe for felines. However, the most critical question to ask is: do cats need to eat lettuce? The answer to this question would be, no. Felines don’t need lettuce or any other vegetable in their diet. Cats can survive on a high-protein diet from animal-based food sources or specially formulated cat foods. Our furry companions can live without veggies, but they can't live without meat. 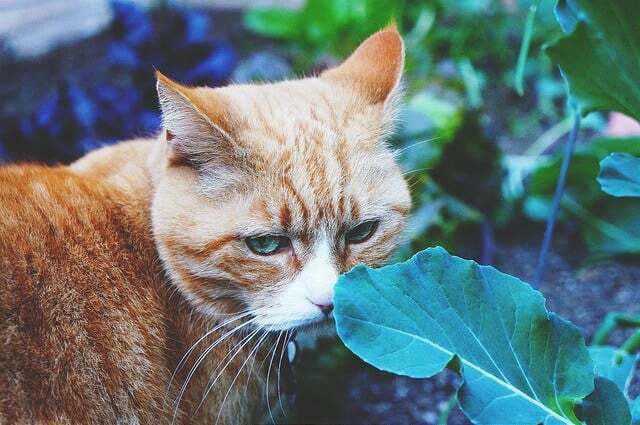 No matter how nutritious a vegetable is, we need to accept the fact that felines cannot obtain the nutrients from plants. Instead of worrying about whether or not a vegetable is safe for cats, we should be focusing more on providing a well-balanced and appropriate diet for felines. The answer to the question, ‘can cats eat lettuce?’ is clear. Your kitty can eat lettuce occasionally in small quantities. Its nutritional value may be beneficial to us but not to our feline friends. Although they can slightly benefit from its water content, letting them drink fresh water is still the best way to rehydrate them. With that being said, you should not rely on lettuce alone for your pet’s hydration. If fed as an occasional snack, it can satisfy their curiosity for ‘human' foods and may gain some of its health benefits. However, it should not be seriously considered as a first addition to its daily diet.